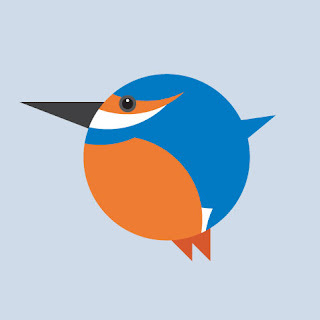 My mom sent me Sam Harris website: http://cargocollective.com/roundbirds/Nuthatch that is so cool it has awesome pictures of round birds that you can buy from him. He lives in England. He makes these round birds handmade by himself and they look like the real bird and that to me is so cool and awesome and I want to learn how to do that just like he did. I am giving him all of the credit because he is the one who made these very cute round bird by hand. I think Sam Harris does awesome work. On the right is a picture of a Kingfisher ( My Favorite Bird Family) that he made. February 24, 2012 October 13, 2014 SarahComments are off for this post. I love these round birds and I love that you gave the artist credit for his good work! That is a very cool website. I liked the parakeet and the emperor penguin. Thanks for letting us know about this!